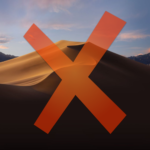 If your Mac won’t run MacOS Mojave, but you want to keep it up-to-date, you could just ditch MacOS and install something else on your Mac instead. To be honest, I would only advise this if the Mac in question is not your only Mac, but it is nice to know that there are alternatives and that you don’t have to buy a new Mac just because Apple has lost interest in it. Firstly, if the Mac ran MacOS High Sierra, then at least as far as interacting with the internet is concerned you can remain up-to-date if you use Chrome, Firefox or Vivaldi browsers for a good while yet. So, there is no rush. And High Sierra is/was a brilliant system. ChromiumOS is a fairly new kid on the block. It can run on a Mac thanks to the efforts of Neverware.com. You will need the Chrome browser installed on a Mac to create the installer USB disk. The home version is free! ChromiumOS runs almost completely in a browser. So all the apps it runs are the online versions of their traditional desktop counterparts. This means that while the system is dependant on a good internet connection, it makes very light demands on the computer. Your files are all cloud based, and the only on-board folder you get is a Downloads folder, which serves to allow for transferring of files, say from Google Drive to OneDrive, etc. Be aware that the installer will delete everything on the Mac it installs on! You get a really snappy operating system though, and on my old measly 2GB of RAM MacBook Air it was very quick! Unlike installing Linux, which is what I used to recommend for has-been macs, there were no extra drivers and fiddly bits to install afterwards – it just worked. This has always been possible, thanks to Boot Camp – which you will find in your Utilities folder on your Mac. For me, the problem was that the aforementioned Mac only officially supported Windows 7. So I did install that as a precursor to Windows 10. I didn’t activate Windows 7, as I was fairly immediately going to upgrade to Windows 10, but I did get a license for Windows 10 (cheap via Software Geeks). If your Mac has a version of Boot Camp that runs on Windows 10 you won’t need to go via Windows 7. And Windows 10 on a Mac is just like Windows 10 on a PC. Perversely, I will actually be sticking with Windows 10 on my newly christened ‘WinBook Air’, rather than making it into a Chromebook. I really liked ChromiumOS, but having more than one Microsoft account and Google account, as I do, did make things complicated for me. There was too much signing in and out of accounts in the browser. But if your life is simpler, and you don’t have multiple online accounts with Google, Microsoft and Apple, then no problem! And if just wholeheartedly Apple all the way, then iCloud.com works fine. You can use the online versions of Pages, Numbers and Keynote there to edit the files on your iCloud Drive, not to mention be able to use Mail, Photos etc. So, to conclude, just because your Mac won’t run MacOS Mojave does not mean it can’t be thoroughly up-to-date.